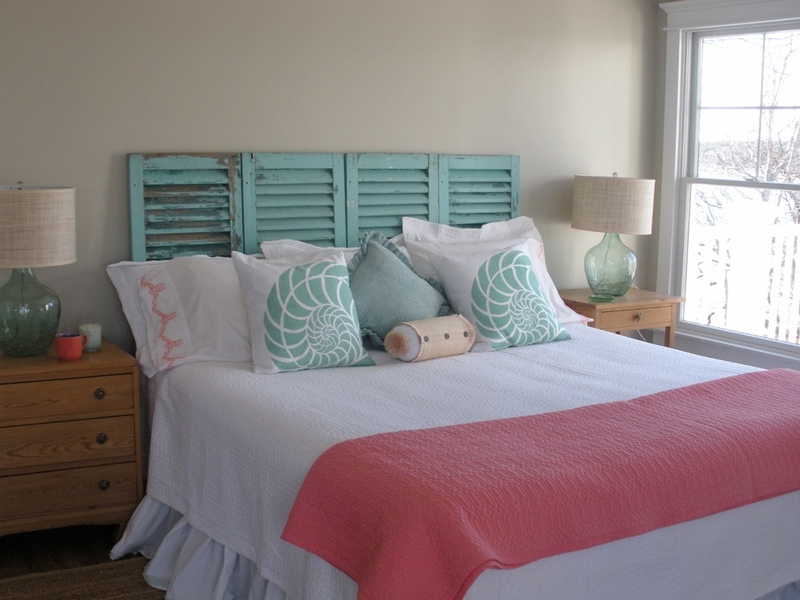 For this small, seasonal cottage on an island off Cape Cod, we kept things casual and relaxed. A neutral wall color in a shade of sand keeps the spaces feeling unified and offers a subtle contrast to the snow-white cabinetry and woodwork. Accessories, such as a collection of vintage bottles and throw pillows, in a variety of blues and greens add to the cottage's beachy feel. Some of the furnishings also have a neutral hue - the farmhouse table and rattan chairs - allowing them to not overwhelm the small spaces while adding texture overall. The end result is a summer get-away home that's welcoming; the kind of place where a little sand on the floor is never a big deal.